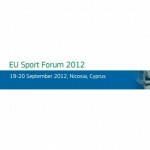 Article 165 of the Lisbon Treaty gives the EU a competence on sport, but stresses that the Union should contribute to the promotion of European sports issues “while taking account of the specific nature of sport, its structures based on voluntary activity and its social and educational functions”. European sports governing bodies have expressed concern regarding the EU’s interference in sports rules and hope the Lisbon Treaty’s reference to “the specific nature of sport” will guarantee that rules are exempt from EU legislation. 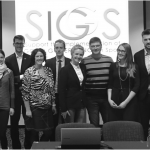 The Olympic Movement, led by the International Olympic Committee, together with sports federations like international football federation FIFA and the International Rugby Board (IRB) tabled its priorities for implementing the new EU competence on sport and presented a position paper detailing the various rules which, they argue, “define the framework of the specific nature of sport and guarantee stable and balanced sporting competitions as well as their integrity”. The paper lists a series of examples of rules and principles that should be safeguarded and thus deserve “specific treatment” when considering their compliance with EU law. Click here to access to the position paper of the Olympic Movement on “Sport and the Lisbon Treaty”.